The Ranch at Emerald Valley is a cowboy-style outfit with 10 cabins and a main lodge at 8,200 feet in the Pike National Forest. 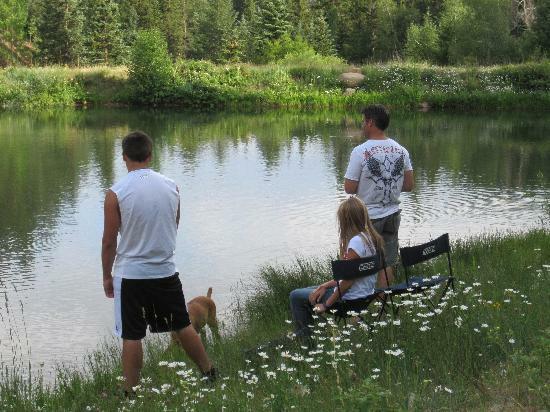 Guests can fly fish, hike, mountain bike, explore mountains on horseback, participate in authentic western cattle drives, unwind in outdoor hot tubs, and enjoy gourmet cuisine and Rocky Mountain sunsets from a panoramic terrace. 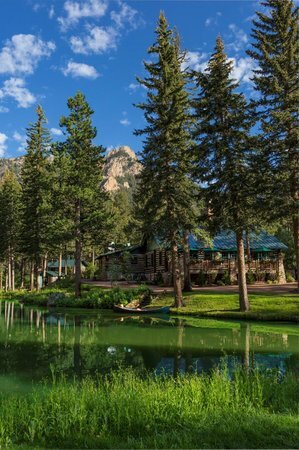 Just a short ride up the mountain from The Broadmoor, the Ranch at Emerald Valley is an all-inclusive retreat that combines the rustic charm of a wilderness enclave with The Broadmoor’s incomparable luxury and service. This is a true, five-star, Western experience. 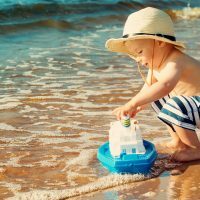 From cuisine, to onsite fishing in the picturesque stocked fish pond, there is entertainment and activity for children ages six and older. There are lawn games, board games and card games in the main lodge, plenty of snacks and beverages between five-star meals, and most importantly, the most hospitable staff imaginable. 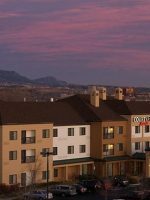 You will feel so special at this location just 45 minutes from the Broadmoor’s Main Resort. Wow! I really cannot say enough about this extraordinary place! 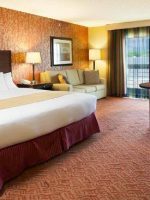 Craig and his team deliver a 5 star experience in true Broadmoor style! The setting for Emerald Valley Ranch is serene, pastoral, and extraordinarily beautiful! The lodging is rustic luxury that invites you to take a deep breath and unwind. The food is top notch offering healthy, hearty, farm-to-table , Colorado cuisine . The all inclusive feature adds ten fold to the experience because everything is paid upfront and you can leave your wallet, and your worries , at home! A review of this place isn't complete without mentioning Reba, the resident ranch canine and her partner, June Bug, the ranch cat! Many wonderful snuggles with these two by the fire made Emerald Valley Ranch feel just like home! We only had time to stay for two nights on this trip, but we're already planning to stay for a week next year. We cannot wait to return to this spectacular spot!! 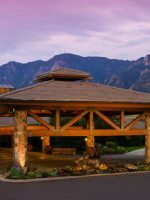 I stayed at Emerald Valley Ranch as part of a girls' getaway with 2 other friends. We were looking for a fun luxurious getaway featuring horseback riding (we are all riders) and Emerald Valley Ranch did not disappoint. The food really was first rate. I expected it to be good considering the price of the stay, but I was blown away. 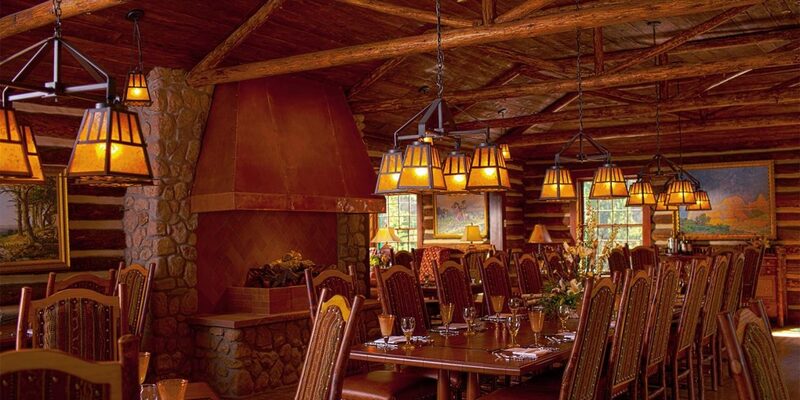 It is Broadmoor-level fine dining, but in a cozy ranch atmosphere, with several dining tables of various sizes set up in a large common dining area. Guests can eat on their own schedules within the various hours set for each meal. Each meal was delicious with a huge selection and what seemed like bottomless quantities of everything (although somewhat more limited for vegetarians). Bring stretchy pants. The Saturday night cookout is not to be missed! Food is all inclusive, along with many beers, wines, and bar-rail liquor. There are other premium alcoholic beverages available with costs charged to your room. Let's just say we were never thirsty! We arrived at the Ranch in between meals, and the staff found some snacks for us to tie us over until dinner. Very much appreciated. 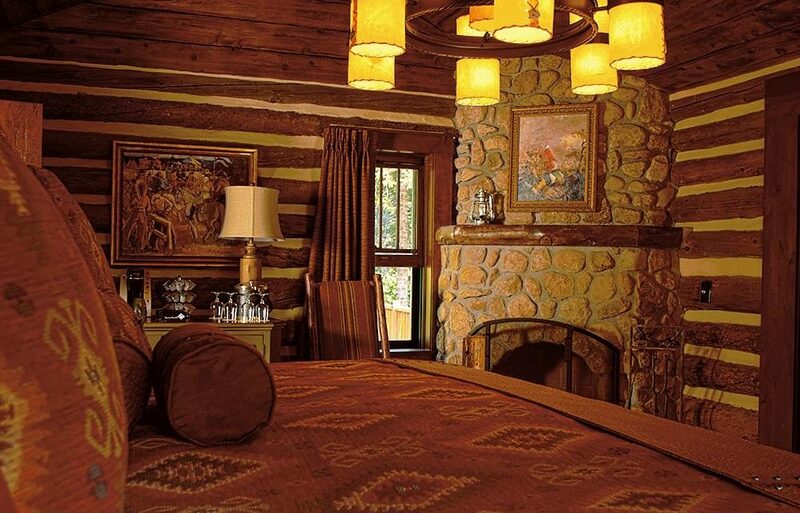 The log cabins are picture perfect, complete with fireplaces, heated floors, an enormous bathroom and roomy shower. I would love to come back here on a couple's trip - the cabin is romantic and cozy. Be prepared to "unplug" - the WiFi was a bit unreliable (it is available in the cabins and in the main lodge, but it is slow), and there is no cell reception. The connection faded in and out so I wasn't able to get on my work VPN...BUT I had to remind myself that I am on vacation and this is a good thing! The activities are what makes this place extra special. The staff goes above and beyond to customize your stay and make sure you're having the best time possible. Kieran taught us all how to fly fish; we started off as total newbies. After a few hours under his watchful eye, I felt like we were in A River Runs Through It. Kieran deserves a gold medal for his patience, sense of humour, and for his focus on making sure all 3 of us were enjoying ourselves to the fullest. My friend caught a trout on day one (I did not)...Kieran then gave me hints on the "secret spot" the next day to make sure I didn't walk away empty handed. Kieran's enthusiasm and energy was contagious - he is a real gem, and a huge asset to the EVR team. We went on a lovely, scenic horseback ride at Emerald Valley Ranch. 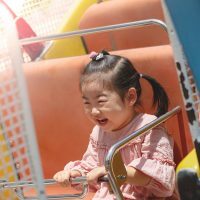 The ride was included as part of the "all inclusive" experience, and lasted about 1.5-2 hours. EVR has its own stables on the property, with ~10 horses of different sizes to suit riders of a variety of ages. The horses are calm, sure footed, steady, and perfectly trustworthy for beginners and kids. I would absolutely trust them with a 1st time rider. The ride was walk-only, which makes sense from a safety perspective and given the terrain (we rode up into the mountains and crossed some rocky ledges to get amazing views of the mountains and valley). The ride did not disappoint - this was an incredible way to see the mountains. For horseback riders or adventurers looking for something a bit more fast paced - DO NOT MISS the Cattle Drive at Elk Glade Outfitters! This is an "extra" excursion (it is not included with your EVR stay) but it is 100% worth it, especially for more experienced riders. 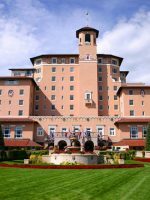 My friends and I were looking online for riding vacation options and came across the "City Slicker Experience", which is actually what led us to find Emerald Valley Ranch and the Broadmoor in the first place. 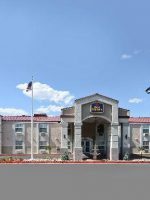 I left a more detailed review of Elk Glade on its own Tripadvisor page (there are only 3 reviews that I've been able to see, so we went in a bit blind). The Elk Glade Cattle Drive is a full day excursion (including lunch and 2 rides) with hours of riding in beautiful open country, finding cows and then working with the wranglers to move the herd into different pastures. This was hands down an experience of a lifetime, and was a Wild West dream come true. If you're planning on heading to EVR and think this might be up your alley, check with Craig or the Broadmoor concierge to make the arrangements. I can't really think of anything that could have improved our stay - it was perfect in every way. The pictures simply don't do the property justice. 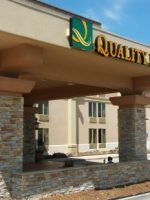 If you're looking for a luxurious five-star stay with beautiful scenery out in the open air, and are looking to fill your days with as much adventure or relaxation as you can handle, you will love EVR.